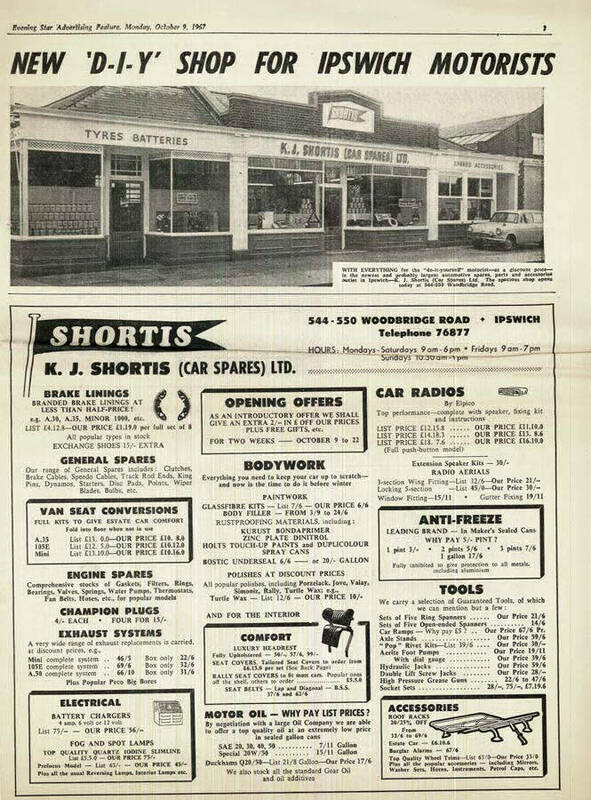 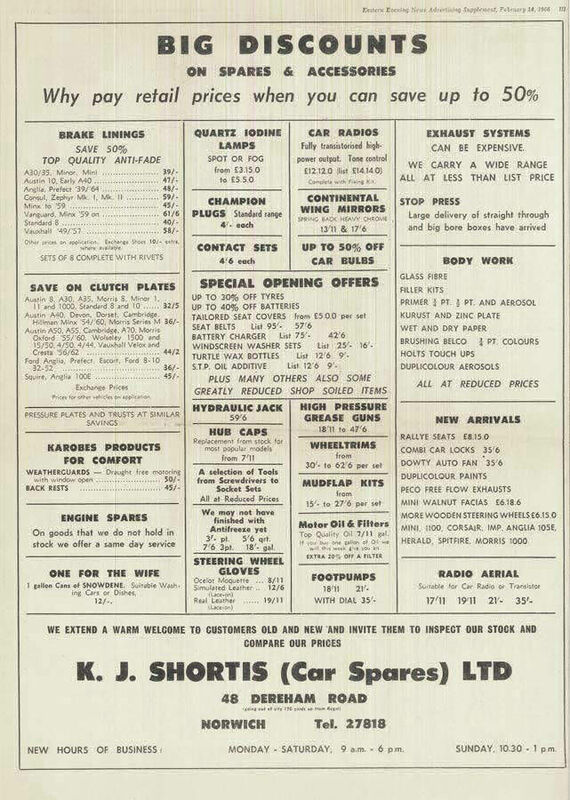 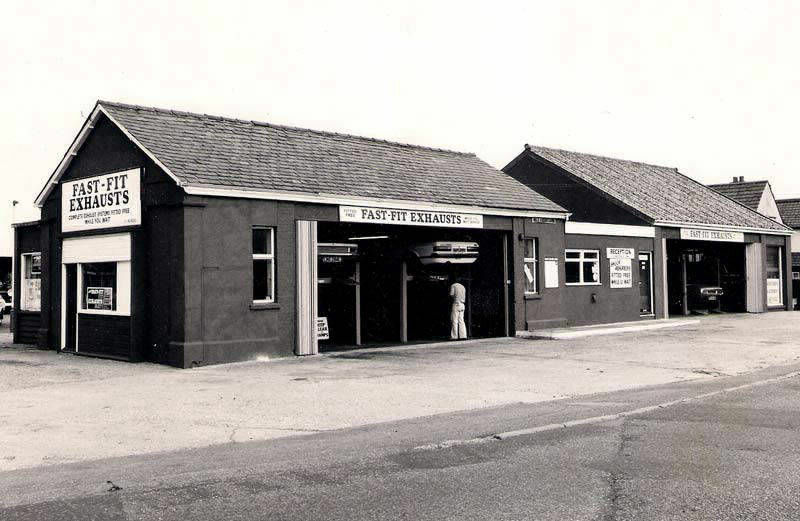 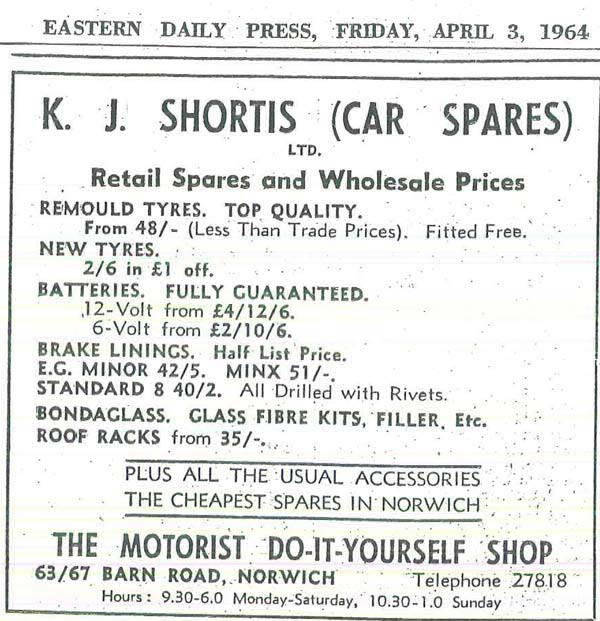 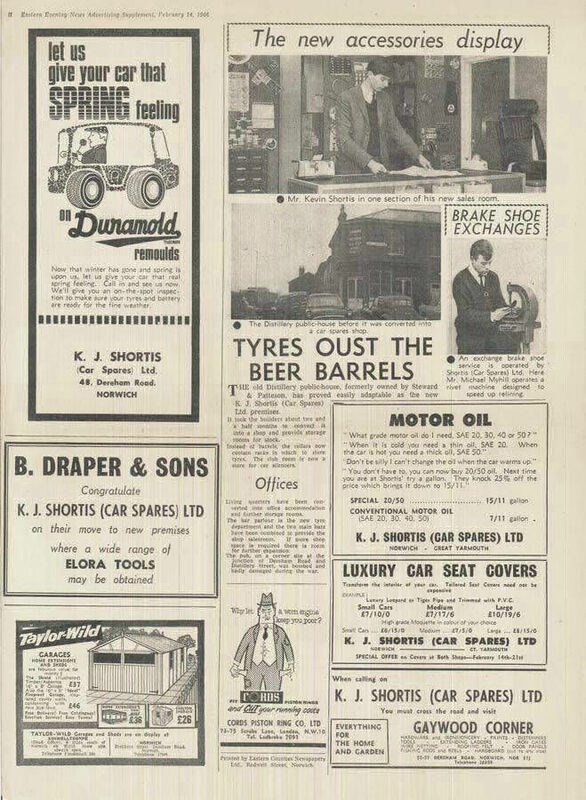 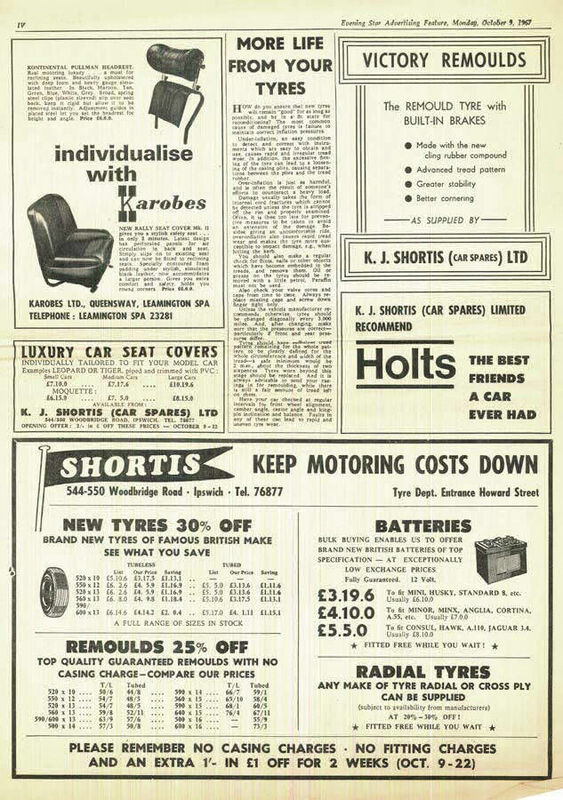 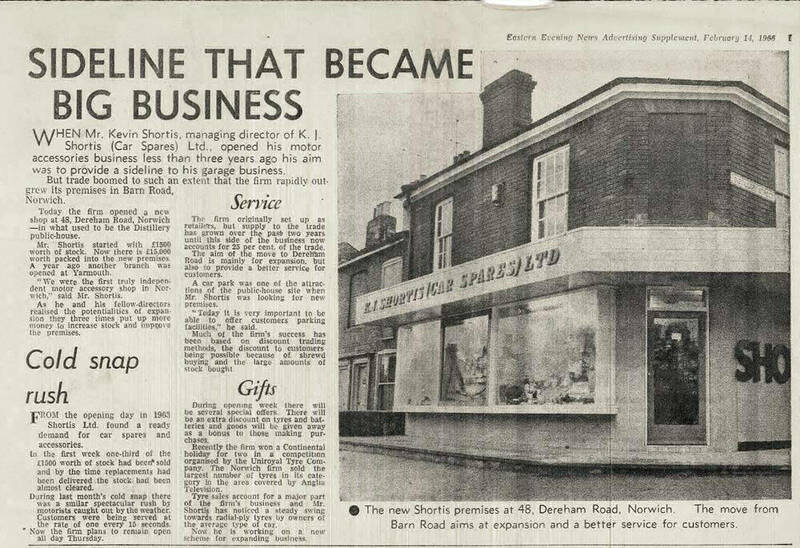 In 1964 Kevin Shortis opened his first motorist's discount store in Norwich. 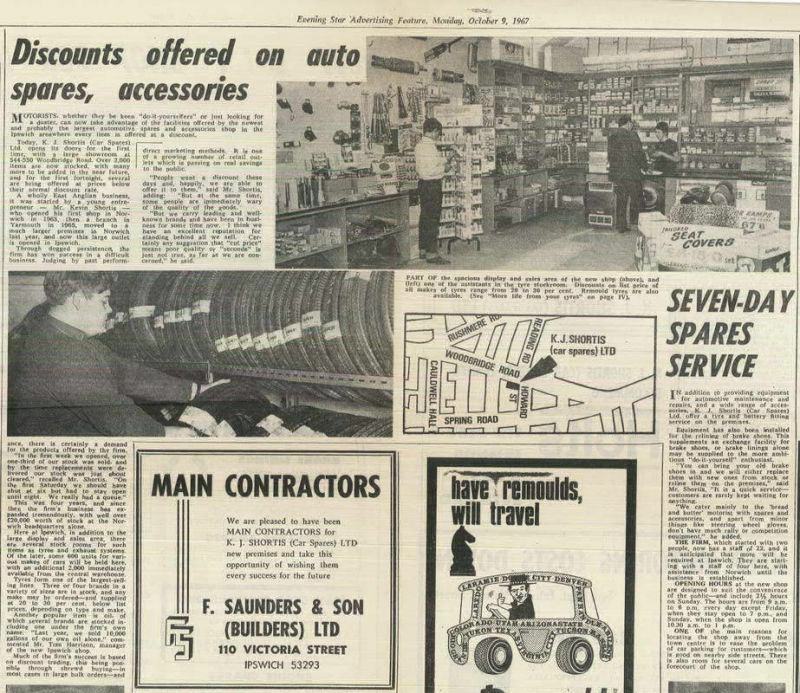 Over 50 years later the group is still family-owned and family-run. 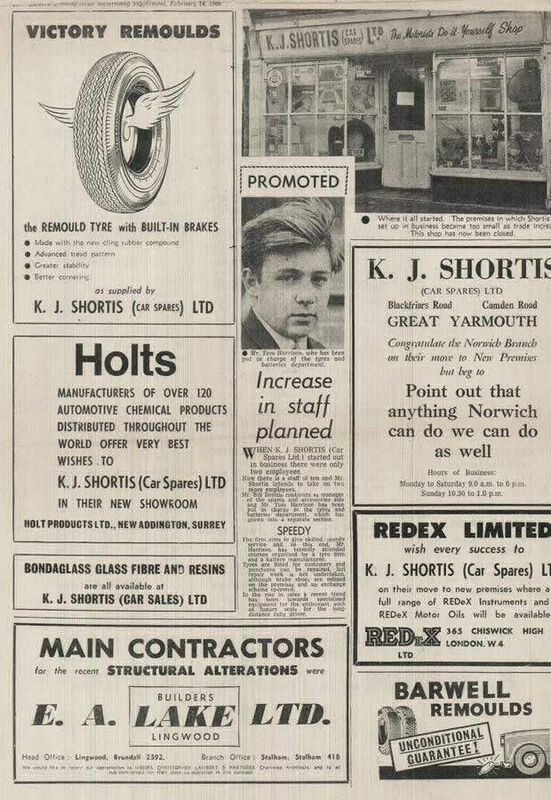 In March, Kevin Shortis opened up his first K.J.Shortis store on Barn Road in Norwich. The Group's Head Office opened on Salhouse Road in Norwich, where it remains today. 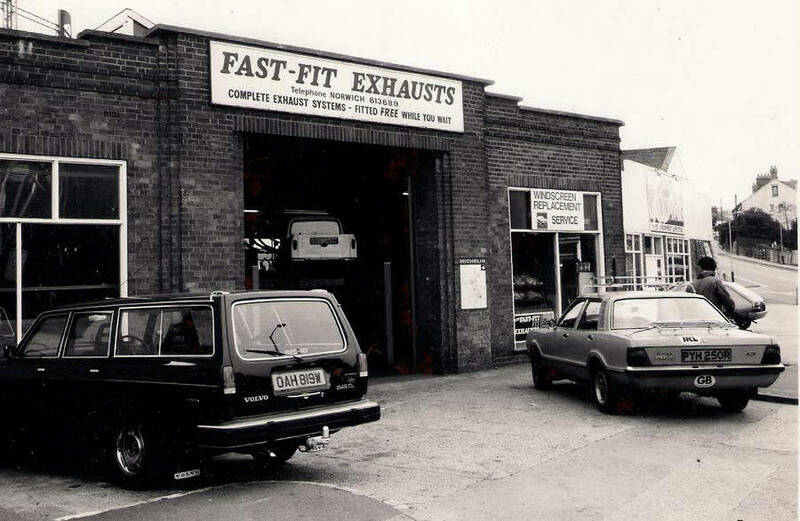 The first Fast-Fit branches opened focusing on tyres and exhausts. 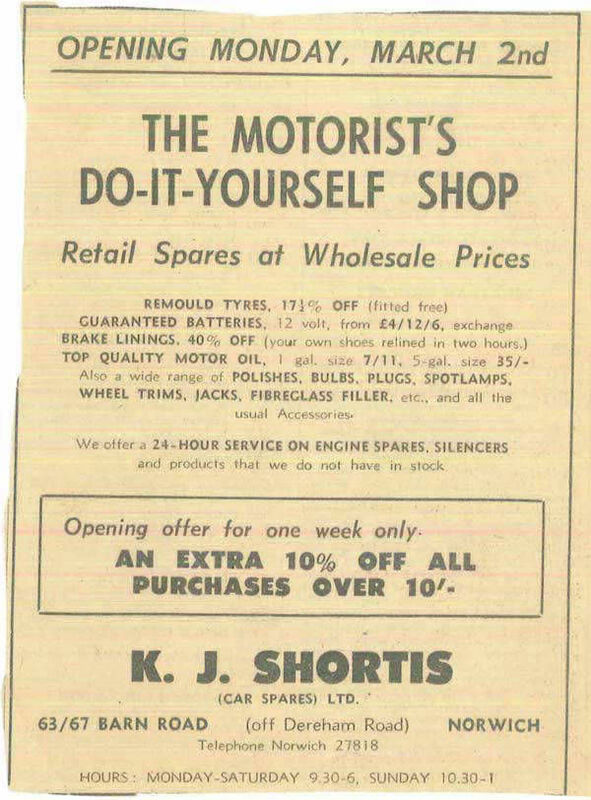 Kevin Shortis opened the first Wilco Motorist Discount Store. 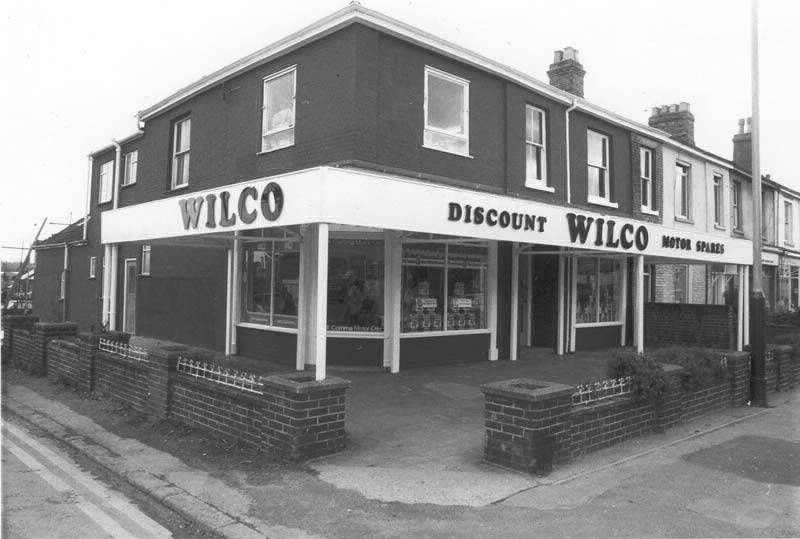 At the time, Kevin was learning to fly and decided to name his first shop 'Wilco' - short for 'will comply'. The Group acquired exhaust distributor Exhausts Unlimited, which became motor factor EU Ltd. 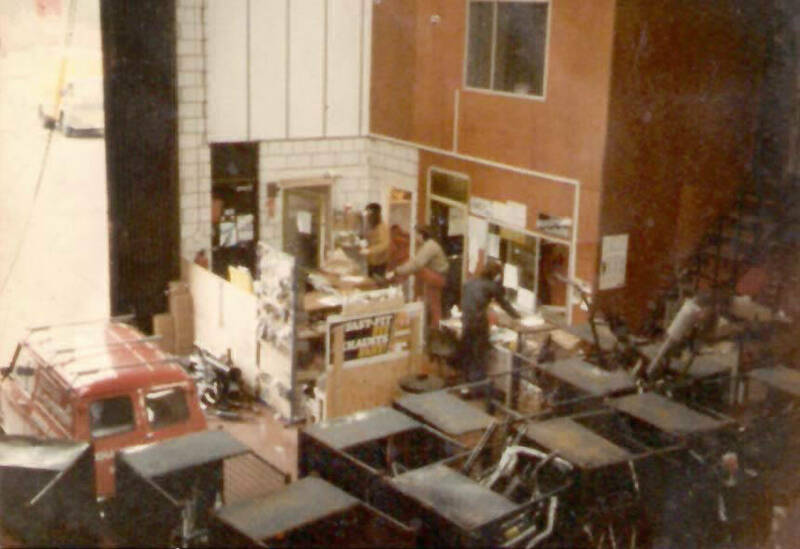 The Group began to invest in IT and had its first computers installed at EU. 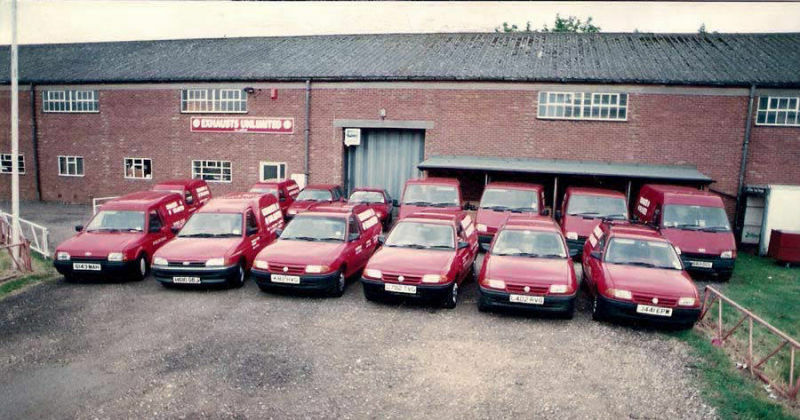 The Group acquired Linco Plc with six branches being rebranded as motor factor EU Linco. 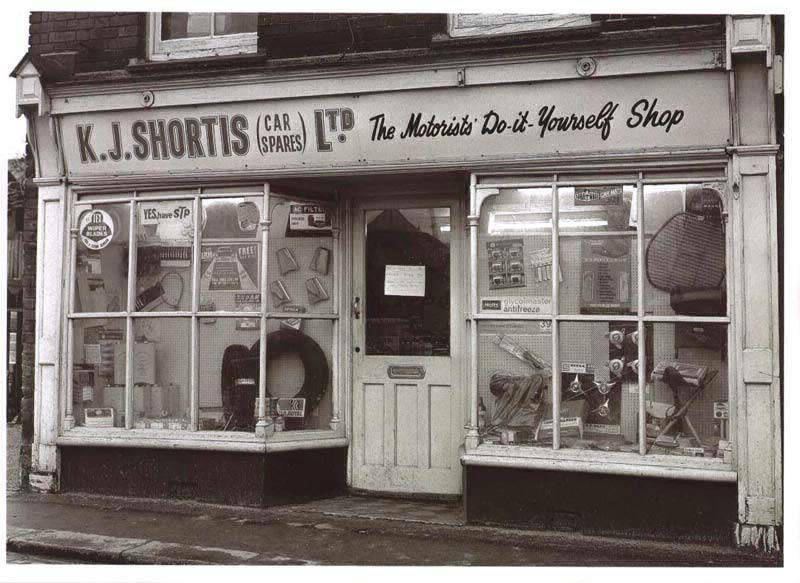 24 stores across Yorkshire and Lincolnshire were bought from Motosave. 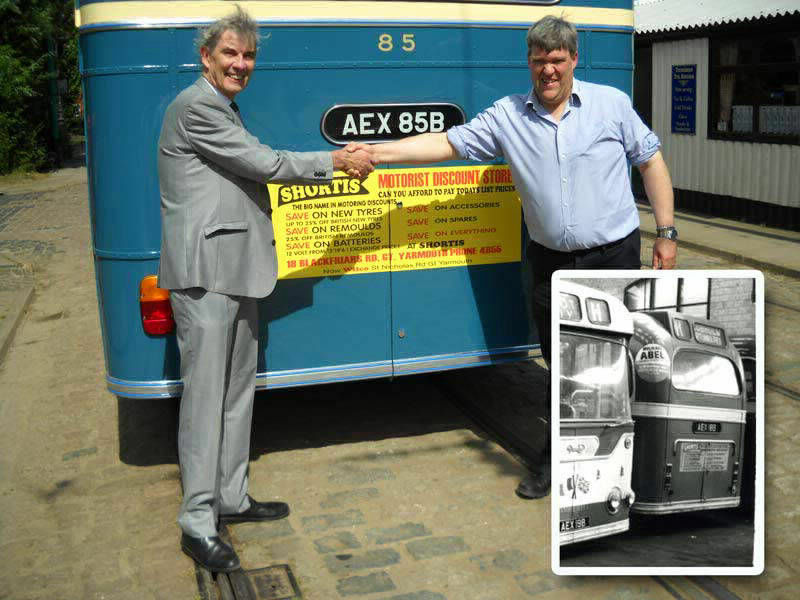 New sites added including Grimsby, Scunthorpe and Huddersfield taking the Group's total number of branches to over 80. 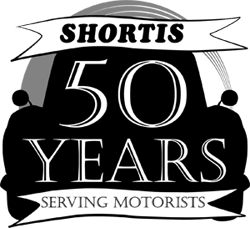 In 2014 the Group celebrated its 50th anniversary. 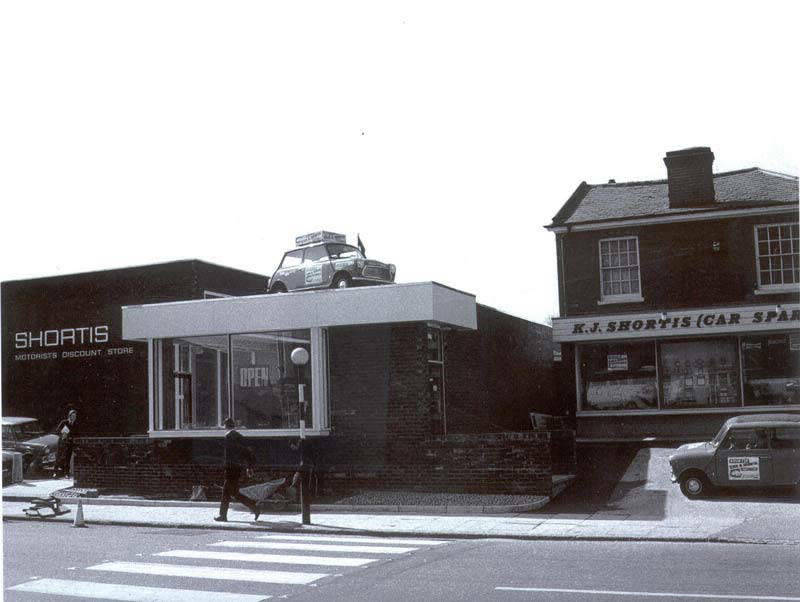 New branch of Motosave in Rochdale opened its doors.